The confirmation came in an official post made by Microsoft on the Zune website. The note, first spotted by WinRumors, reveals that Microsoft will stop manufacturing Zune hardware, though users who own the devices will continue to receive support. "We recently announced that, going forward, Windows Phone will be the focus of our mobile music and video strategy, and that we will no longer be producing Zune players," the site reads. "So what does this mean for our current Zune users? Absolutely nothing. "Your device will continue to work with Zune services just as it does today. And we will continue to honor the warranties of all devices for both current owners and those who buy our very latest devices. Customer service has been, and will remain a top priority for us." While the Zune hardware is no more, the branding will live on in the form of the Zune Music Pass subscription service, as well as Zune software available for Microsoft's Windows Phone platform and Xbox 360. Evidence that the Zune was dead came on Monday, when all references to Zune hardware were temporarily removed from the official website. While it appeared to be the final nail in the coffin for the flagship Zune HD, Microsoft later re-added the device to the site, and a spokesperson for the company said its removal was a "mistake." 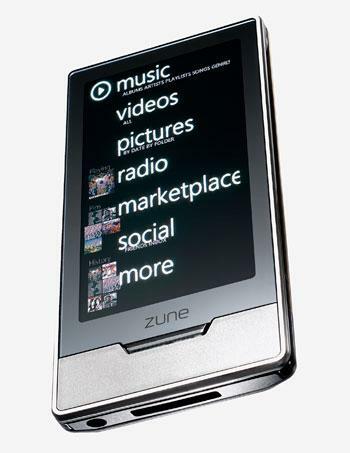 But on Tuesday, Microsoft opted to admit that the Zune hardware is in fact being canceled. Microsoft said that anyone who recently placed an order for a Zune player through its Zune Originals customization service will still receive their purchase, and repairs and registration of current Zune devices is still available through the Zune Online Service Center. The latest version of the Zune hardware, the Zune HD, was released in 2009 and was positioned as a competitor to Apple's iPod touch. It features an OLED multi-touch screen and access to the Zune Pass service, which costs $15 per month. Microsoft's move has been expected for months as devoted media players become less needed in the market, replaced by multi-function smartphones with high memory capacities. Even Apple has seen sales of its market-leading iPod lineup dwindle as the iPhone has become the company's premier device. Apple's best-selling iPod, the iPod touch, is expected to receive a minor revision at today's iPhone-centric media event, with Apple rumored to add a white model to the lineup. However, the internal hardware of the iPod touch is not expected to see any major changes from the version first released in 2010.